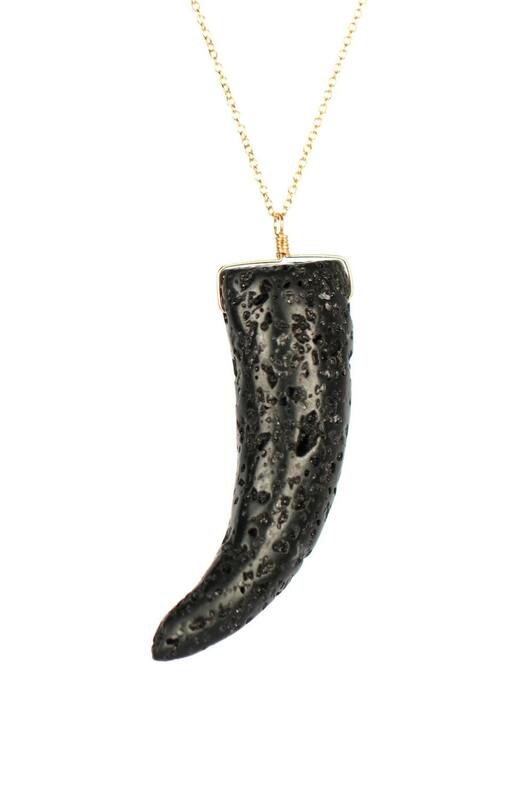 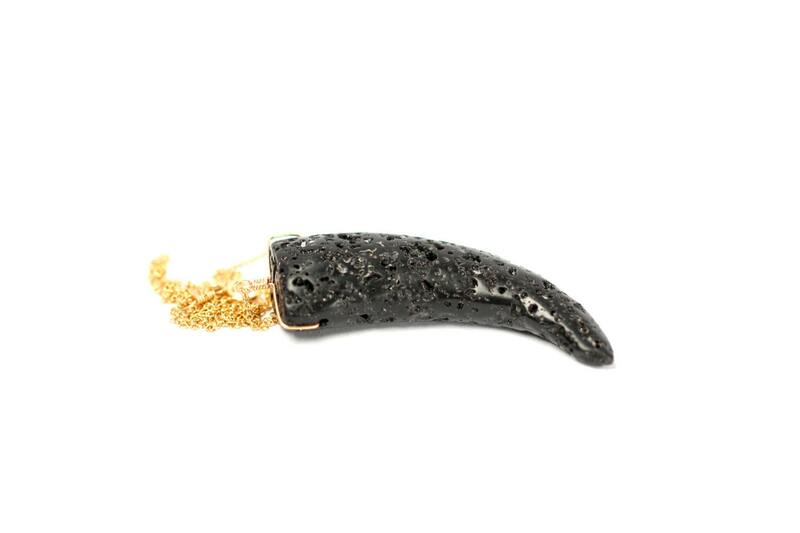 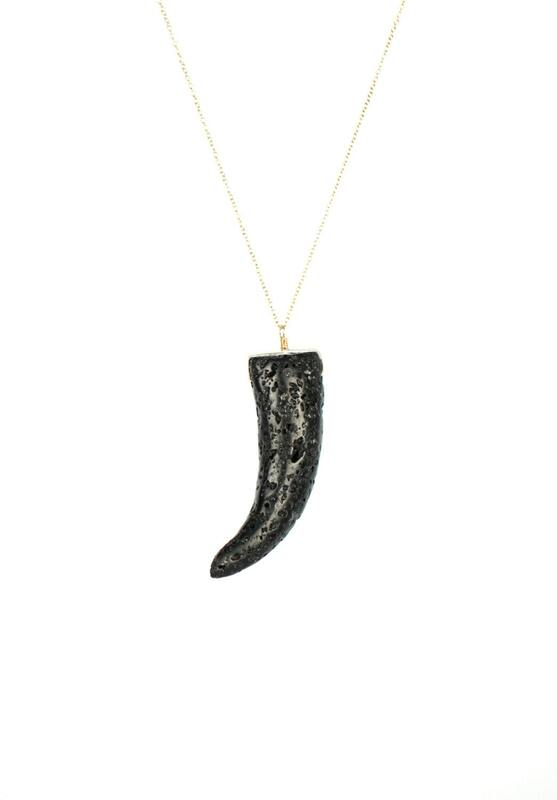 A large black lava rock tusk, wire wrapped onto a 14k gold vermeil or sterling silver chain at the length of your choice. 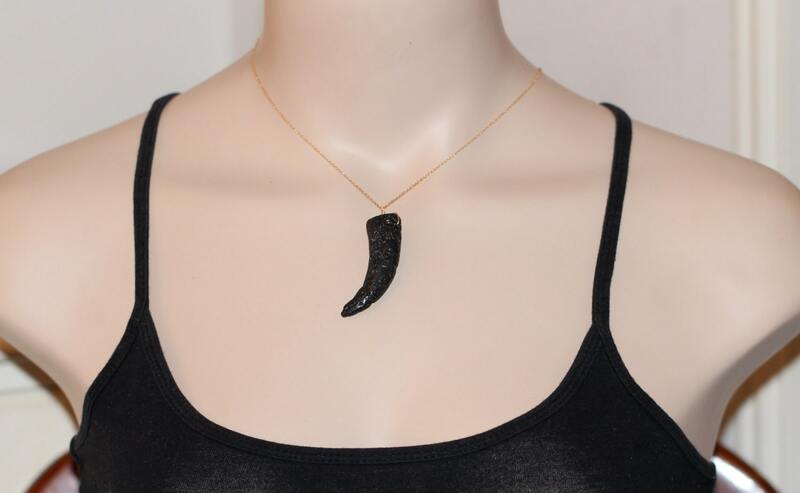 Also available on leather with a 34 inch adjustable strand and a knot. 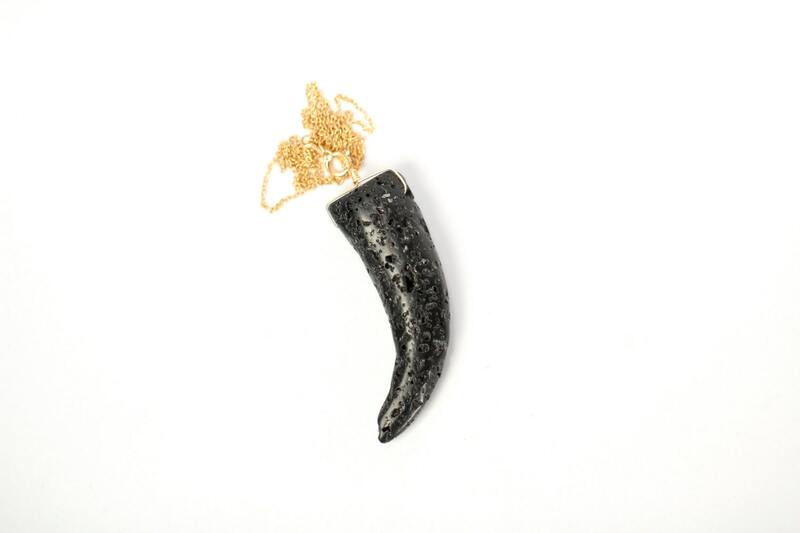 Need a few reasons to love lava rock other than for its beauty?